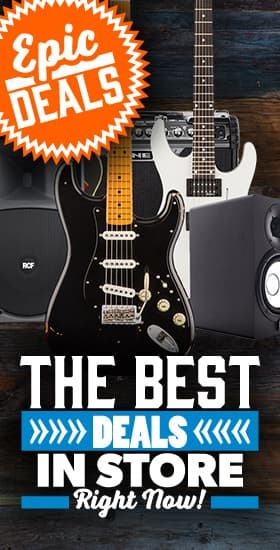 Fishman - Andertons Music Co.
Fishman are a hugely popular manufacturer with a product range that covers a number of categories, from pickups to PA systems and everything in between! 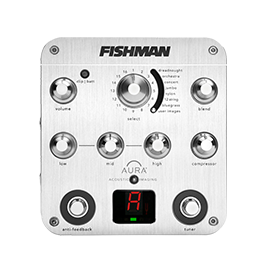 Fishman are a highly-respected brand within the music industry, specialising in acoustic guitar amplifiers, PA systems, guitar pedals and pickups. Renowned particularly for their acoustic guitar pickup technology, it's only recently that Fishman started producing mass-market electric guitar pickups. Competing with a raft of other long-standing brands, over the last couple of years a huge amount of high-profile names have flocked to Fishman for their cutting-edge Fluence pickups. Appealing strongly to hard rock and metal artists in particular, players on Fishman’s current roster include Devin Townsend, Tosin Abasi (Animals as Leaders), Stephen Carpenter (Deftones) and Greg Koch. Founded by Larry Fishman over 35 years ago, Fishman has established a reputation for innovation, quality, and above all - incredible sound. 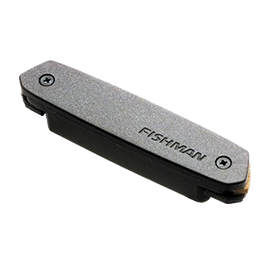 With class-leading R&D ensuring that their products are constantly pushing the boundaries, Fishman’s experience has culminated in a strong and streamlined product lineup today. With a team of skilled employees designing and manufacturing, all of Fishman’s offerings are made to only the highest standards. With bullet-proof reliability, Fishman gear will never let you down - onstage or in the studio. 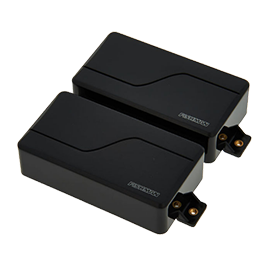 With the rapid interest in their electric guitar pickups, Fishman’s catalogue is arguably lead by their Fluence range. 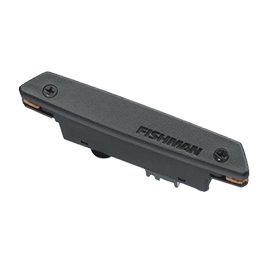 Boasting a number of models within the Fluence lineup, Fishman are pioneering a new, less traditional pickup design. Not utilising the conventional wire-wrapped magnet philosophy that has remained largely unchanged for around 80 years, Fishman are truly re-inventing the wheel. Built using modern circuit board manufacturing processes to create a layered pickup core with multiple coils, Fishman Fluence pickups are consistently made with little to no variation between models. With an active design, these battery-powered pickups can be driven via a 9-volt battery or charged via a micro-USB to meet today’s standards. With an incredibly low noise-floor, unparalleled fidelity and multi-voice capabilities, it’s no surprise why many modern musicians are endorsing Fishman thanks to the tone and versatility offered by their Fluence humbuckers and single-coils. With 7 and 8 string iterations available, Fishman are forward-thinking and catering for the extended range players out there too. Tosin Abasi is just one of them, carving his ultra-technical sound with unbridled Fishman Fluence power. Stephen Carpenter of Deftones is another player taking advantage of their sound quality, giving his huge downtuned riffs all of the clarity they need without shelving any crucial low-end. 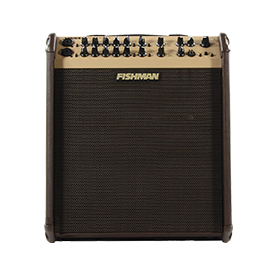 Back to their roots, Fishman are well-known for their acoustic amp and pickup offerings too. The loudbox amp range is iconic when it comes to acoustic guitar amplification, seen across countless venues around the world. Available in different sizes, the Performer leads the charge, with 180 watts providing massive clean headroom and enough volume to fill large stages. The smaller Artist and Mini versions are just as potent but with less output, all featuring tweakable EQ sections to suit any space. Fishman’s acoustic guitar pickups are an industry standard, popular like their Fluence pickups for their incredibly clear tones. The Neo-D pickups have a more modern sound for the pros, whilst the Rare Earths have a smoother sound with plenty of authentic warmth, to satisfy the traditionalists.